"Lots of Potential; Getting There"
It's an easy to install and easy to use desktop version of the Android Operating System. There are not a ton of options for this, and less that have the amount of compatibility that Remix OS touts. It's not a great alternative to fully featured desktop Operating Systems or Linux distros. It's an easy way to have an Android x86 system up and running. "Great Android simulator for home pc"
I can have a similar android OS with apps on my home computer. Which can allow me to play games on a bigger screen than just my phone. It is another OS which you can just have, to install google apps you enjoy. Some apps will come with ads and that gets ignoring. Once it installs, you have to reboot the system to use guest or resident mode from the BIOS menu. If you have not tried it yet, please do! it can operate on just about any computer. Just to have apps that I enjoy on my phone to use at home when needed and knowing that the software is separate and won't damage my OS. I haven't used it recently due to not having the time but, it's still a good product to use when I can. 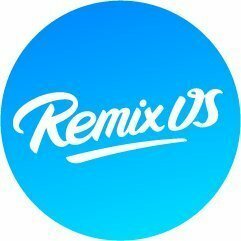 * We monitor all Remix OS reviews to prevent fraudulent reviews and keep review quality high. We do not post reviews by company employees or direct competitors. Validated reviews require the user to submit a screenshot of the product containing their user ID, in order to verify a user is an actual user of the product. Hi there! Are you looking to implement a solution like Remix OS?